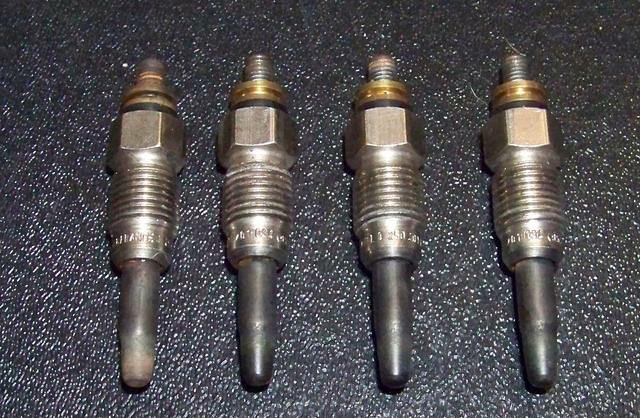 1.6 or AAZ Glow Plugs Bosch Duraterms - Parts for Sale/Wanted - VWDiesel.net The IDI, TDI, and mTDI source. I have up for sale a set of glow plugs. They are all actual Bosch Duraterms which are the best glow plugs you can get for these engines. The set is a used set that has been tested. All four glow quickly and brightly. $15 shipped (in the lower 48) for the set of 4. EDIT: New sets are all sold. Used set still available. One new set sold. One new set of 4 still available for $30 shipped in the lower 48. The used set is available for $15 shipped in the lower 48. Hey sell me some new ones. Giving up on the IDIs? I haven't totally given up on the IDI's but am breaking bulk on some back stock.